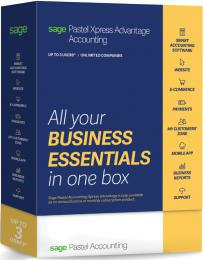 Pastel Xpress V17 has access to additional modules and works beautifully with and is very compatible the NEW SmartBank Bank Manager software package for downloading and importing bank statements directly into the cashbooks of ALL VERSIONS Sage Pastel Partner Advantage, Pastel Xpress Advantage and Sage Pastel Xpress Start-up. SmartBank is amazing and is much easier to use compared to the Pastel Bank Manager in many ways and is a very good alternative software package that will SAVE lots of TIME and MONEY!!! So if you are a bookkeeper, an accountant or a business owner using multi companies and who needs to save lots of processing time...then SmartBank Bank manager is the add on module for you!! SmartBank imports Bank Statements straight into Multi Accounting packages...SAVING more than 90% in Cashbook processing TIME, COSTS and MONEY! For more information please contact Total Accounting Solutions or SmartBank directly at 082 06 12300.